Congratulations to Ovolo Hotels with a presence in four Australian key cities : Canberra, Sydney, Melbourne and Brisbane. Ovolo adds Canberra’s Hotel Hotel to growing Australian portfolio (Australian Financial Review). Hong Kong boutique chain Ovolo has secured its third Australian hotel in just seven months, acquiring the rights to manage the 68-room Hotel Hotel in Canberra from local powerhouse developer Molonglo Group. 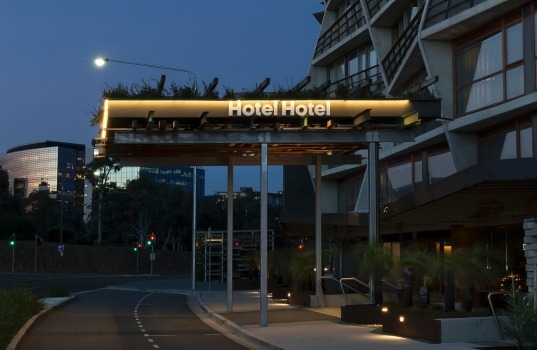 The deal brings the number of hotels under the Ovolo brand in Australia to six, following its $40 million acquisition earlier this month of the 102-room Emporium Hotel and buying the 50-room New Inchcolm Hotel & Suites in Brisbane for $16.5 million in June. It is the first time Ovolo has not acquired the underlying real estate for one of its Australian hotels. Dave Baswal, COO of Ovolo Hotels, said management agreements were not its “core business”, but it was eager to add the “incredible asset” to its growing portfolio. Under a long-term leasehold deal with Molonglo, Ovolo has acquired the businesses and operations for the hotel, its hatted restaurant and Monster bar and kitchen, and it will retain the current staff. “Ovolo Hotels has been well received in Australia and we are proud to bring our signature concept to the Australian capital. We believe this venture is the perfect alignment and are delighted to be associated with this property,” said Girish Jhunjhnuwala, CEO of Ovolo Hotels. The art-inspired hotel is within the Nishi building of Molonglo’s NewActon precinct. The building won international project of the year at the 2015 Building Awards in London. Among its notable features is its timber facade, plants growing on the outside and a grand staircase entrance made of timber from a recycled basketball court. Nectar Efkarpidis, director of Molonglo Group, said the move would allow the developer to focus on new projects in Canberra and beyond. “Hotel Hotel was the physical manifestation of ideas that we had been exploring for several years. About architecture, design, objects and furniture, and how they can help us to evolve and expand Canberra’s civic sense of itself with others,” Mr Efkarpidis said. The sale of the Hotel Hotel leasehold was negotiated by Wayne Bunz from CBRE Hotels. Ovolo owns and operates two Sydney hotels in Woolloomooloo and Darling Harbour, and one on Little Bourke Street in the centre of Melbourne. Prime Square is an independent advisory firm dedicated to the hospitality industry.